Your credit score is more important than ever. The single biggest factor in your credit score is having a timely bill payment history. Recent late payments are factored more heavily than old ones so start today and never let a bill get past due. Keeping your accounts near their maximum limit can signal that you don’t manage credit responsibly, and that you may have trouble making payments in the future. The longer you have had credit in good standing, the better. Keep your oldest cards; that good history will help you, and don’t regularly take out new credit accounts. Opening several credit accounts in a short period of time is a risk factor. How many enquiries done on your behalf can also have an effect on your score. A healthy mix of credit i.e. car loan, mortgage and credit card is more positive than a concentration of debt in only credit cards. With an excellent credit score (750 and over), lenders will give you a quick mortgage approval at the best possible rates. This score says you are reliable and responsible with debt. At a lower score (below 620), you likely won’t get the best mortgage rates, you may require a larger downpayment, there could be extra fees, and you may even find it difficult to qualify. Your credit score can change from month to month, which means you can boost your score relatively quickly with the right credit behaviours. We can review your situation and discuss how your score will be viewed by lenders and, if necessary, outline your best options for credit improvement. If you want to get a mortgage while you work on bettering your score, we can also advise how that may be possible. Next Next post: Use your mortgage to pull debt together and save for retirement. 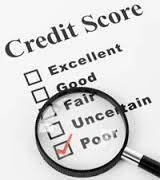 CanadaMortgageNews.ca Your credit score is more important than ever.